After years of hearing about the energy sites in Sedona, Arizona, I finally was able to visit this very special area, and experience the famous vortex energy for myself. 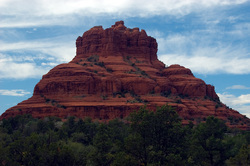 Sedona is an amazingly beautiful area with the magnificent red rock formations throughout the community, the large variety of desert vegetation and the many fascinating types of animal life – including reptiles and insects. A feeling of serenity and bliss filled me during my short stay as I explored some of the many famous energy spots in the area. For me a vortex or energy experience is all of the above. What happens to me when I am entering a vortex area is that I feel the physical sensations first: I feel a pulling or tickling in my stomach, throat or heart. Sometimes my hands (or just one hand) begin to vibrate. In Boynton Canyon, I had a prickling energy run up and down my legs although I was on a trail and not touching anything else. Emotionally, I become peaceful and centered, then a specific feeling will form, or conversely I am cleared out entirely of emotion and thought. I also become very aware of myself and the beauty of the natural world right around me. I receive spiritual messages in a variety of ways. My attention may be drawn to an individual animal, insect or a plant that I feel has a unique meaning for me. As my attention is drawn to let’s say a spider – during my visit to the vortex site – I would take note of any inner feelings or thoughts that arise from that meeting. I might meditate on it, and when I got back home later I would look up in one of Ted Andrews wonderful books likeAnimal Speak or Animal-Wise, what the meaning of a spider is. I would reflect on any dreams I could remember, or readings I might have had, or noticed the relevancy of any issues I was having regarding this. Then I reflect on all these things and where I am in my life. It is also possible to get actual inner direction from your guides at these locations. You may hear partial phrases or words in your head as you tune into them during your visit, which you can expand on and have a deeper and more complete understanding of later. You may have a visual flash or see a daydream that brings you a message. I always try to bring a small journal with me where ever I go, so as these inspirations and understandings come to me, I am able to jot them down and not loose this information when I “come back” into my body from meditation. Or you may also experience “downloads” of information at these high frequency energy spots. Getting a download feels to me like information is literally coming into my body in a stream of energy to the crown of my head or through the third eye. Sometimes it also feels like sacred geometrical shapes are entering me. I have even felt mathematical formulas and symbols coming in, yet during a download I never understand any of the information or what the material might mean. What I simply do is thank the universe for allowing me to be worthy of the information, and I trust that at some point the information will become meaningful in my life. Downloads usually occur to me before I experience acceleration in my spiritual growth. You also will experience attunements at vortex energy sites. You can get an attunement from a session with a healer, by using aroma therapy, color therapy, tuning forks, by going to the beach and being cleansed by the sun and sea water, by listening to various high frequency music, by visiting crop circles and sacred sites, but I always feel as if I’ve had a shift in energy, or an attunement, when I visit vortex energy sites. I feel rebalanced, and as if I’ve freshly showered, my energy field feels cleansed after such visitations. Best of all, a visit to an energy or vortex site, can help your mental sorting of life – you can get a new perspective on a problem or concern. If you approach your visit with the intention of getting this information, you may be shown a new or different path for your life. Remember, a visit to a vortex will amplify what you bring to it. 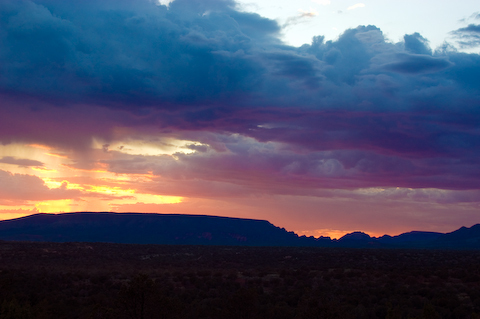 After visiting perhaps six vortex areas in Sedona and additional vortexes in other parts of the Southwest, I realized that vortex energy is everywhere if you look for it. You can find vortex energy in almost any community nearby, and that magical spot that you like to visit “to clear your head”, is really just a vortex energy spot that is especially designed to work with you. Even cities have energy vortexes, although city vortexes feel different than natural vortexes, but the energy is there and can be put to spiritual use. The huge cathedrals of Europe that were most often built on natural energy sites and over previous sacred sites, are testimony that man made buildings can amplify and positively make use of an energy vortex. Personal growth happens if you make use of the tools that you are given by the Great Spirit. Vortex energy is simply another wonderful tool for you to explore and to experience. thereby touching your innermost and outermost expression of God!